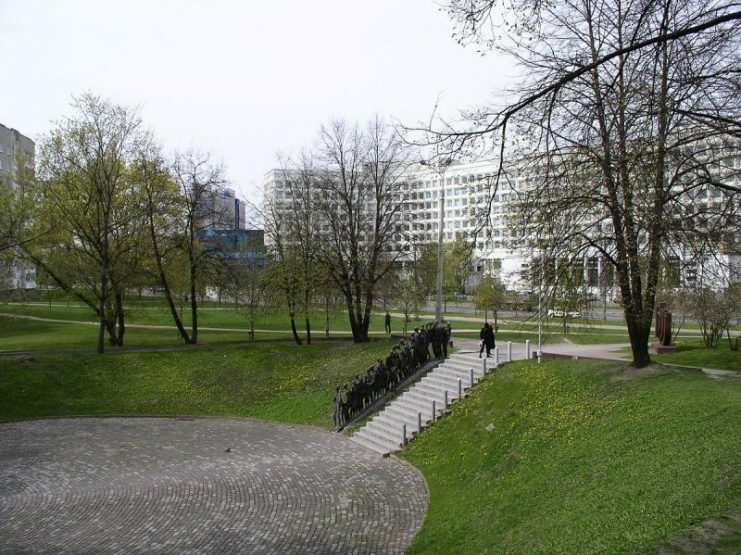 Brest’s Jewish community is seeking to have the site turned into the city’s second Holocaust memorial, a proposal supported by the international community. Soldiers in Belarus have unearthed a mass grave, with the body of a woman clutching a baby among their findings. The bodies of more than 1,000 Jews have been excavated from a construction site in the city of Brest. 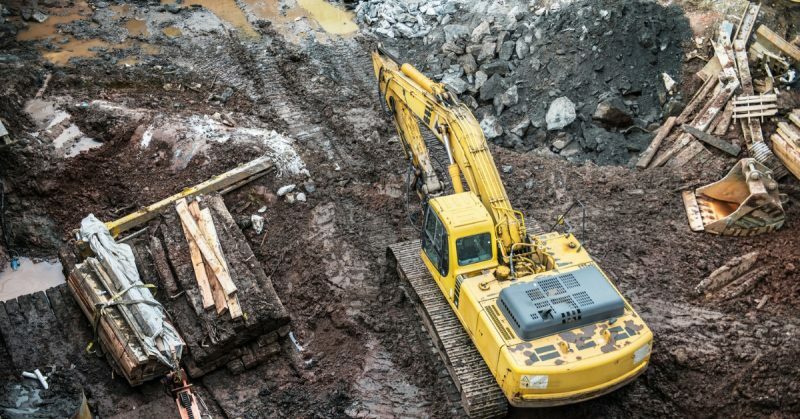 The mass grave was discovered after construction began on a block of luxury apartments. The site was formerly a ghetto when Germany was in control of the city in the Second World War. The leader of the military team excavating the mass grave, Dmitry Kaminsky, said that the bodies clearly had bullet wounds in their skulls. 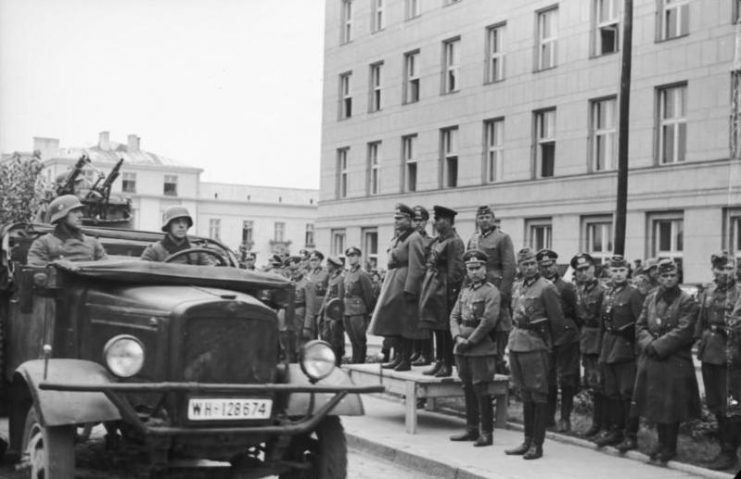 German–Soviet military parade in Brest-Litovsk at the conclusion of the Invasion of Poland, 1939. Photo: Bundesarchiv, Bild 101I-121-0011A-23 / CC-BY-SA 3.0. Prior to the Second World War, nearly half of Brest’s 50,000 residents were Jewish. Shortly after the Germans invaded, the order was given to eradicate the city’s Jewish population. 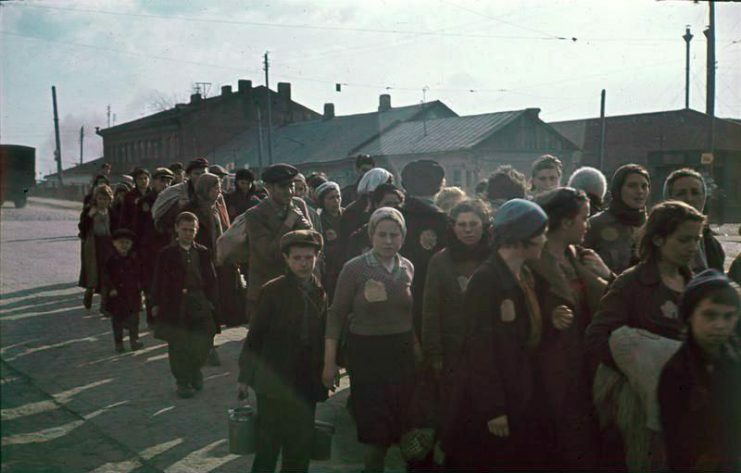 Thousands of Jews were loaded onto trains to be taken into the forest and shot. 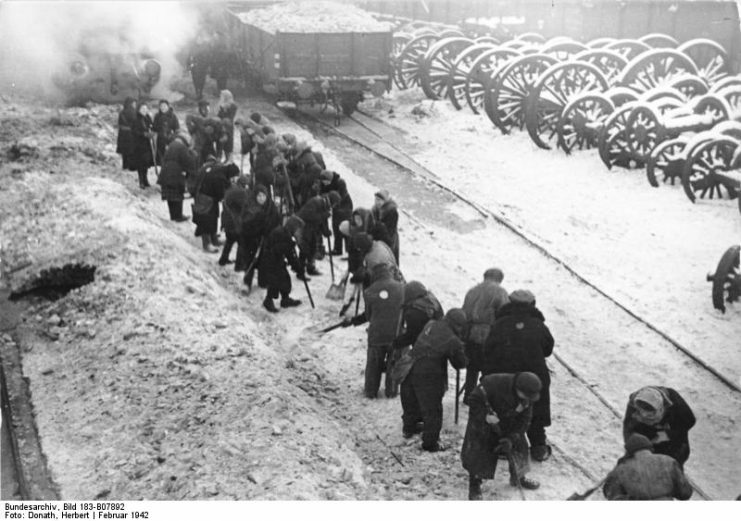 Jewish prisoners of the Minsk Ghetto clearing snow at the station, February 1942. Photo: Bundesarchiv, Bild 183-B07892 / Donath, Herbert / CC-BY-SA 3.0. 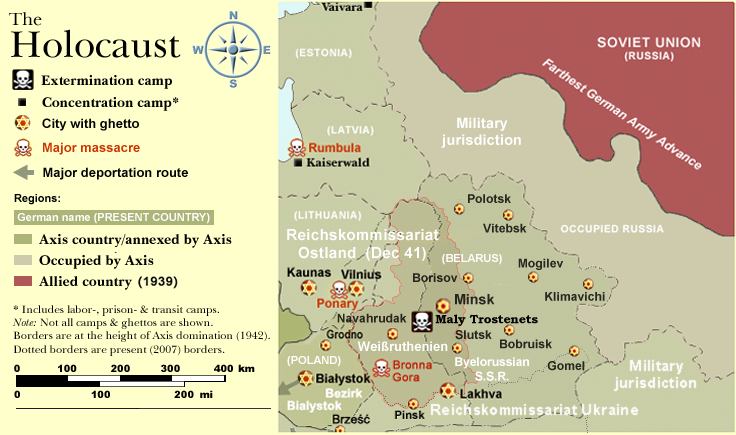 According to records registry kept by the Nazis, there were 17,893 Jews in Brest on October 15, 1942. The entry for the next day is crossed out. Mikhail Kaplan lost aunts, uncles, and cousins during the Holocaust. His mother and father escaped execution only thanks to being out of the city when the Nazis invaded it. Half the city’s population was gone when they returned. Brest’s Jewish community is seeking to have the site turned into the city’s second Holocaust memorial, a proposal supported by the international community. The only memorial currently under consideration at the site is to plant trees adjacent to the apartments under construction. Alla Kondak works in the city’s culture department and says they will not be “building on bones” as construction will not be allowed to continue until all the remains have been recovered. Kondak further stated that a Holocaust memorial will likely be built at the site. The current memorial, a small marble stone dedicated to the 34,0000 Jews that were killed in Brest and the surrounding area, is just around the corner from the newly discovered mass grave. Jews in the Minsk Ghetto, 1941. Photo: Bundesarchiv, N 1576 Bild-006 / Herrmann, Ernst / CC-BY-SA 3.0. The city and the real estate developers are offering to build the apartments next to the grave site rather than on top of it, while the city further states that the site will not be developed into a parking lot or playground. Additionally, the city is offering to move the deceased in May to the Jewish section of the city cemetery, along with dirt brought from the exhumation site. But this would be in conflict with Jewish religious rules that forbid disturbing the deceased. Another mass grave was discovered in 1950, with the remains of 600 people relocated to the Trishinskoe cemetery. Moreover, a mass grave was also found in 1970, with the 300 victims re-interred at the Proska cemetery. The actual grave was not unknown, and in 1999 the local newspaper published an article on it according to Regina Simonenko, the head of the Holocaust Museum in Brest. Nonetheless, significantly more bodies were uncovered than was previously thought.